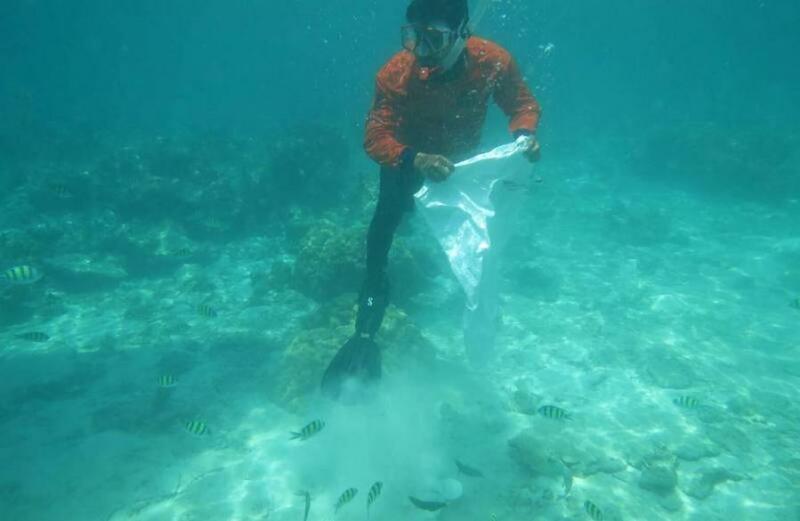 PHUKET: More than 800 kilograms of coral was returned to the ocean this week, officials at Hat Noppharat Thara-Mu Ko Phi Phi National Park have revealed. “This is the amount that was seized from tourists at Krabi International Airport from April 2016 to date,” said Sarayuth Tantian, chief of the park. “This highlights the misconduct of tourists who take coral with them from tourist attractions all over Thailand. They do this despite being aware that it is illegal and they are not allowed to do so. We implore people to please refrain from doing this and help protect marine life for the next generation,” he added. In recent months, wildlife and national park officials have led initiatives to plant live natural coral on artificial (concrete) reefs in order to restore some much-needed balance to the Andaman ecosystem (story here and here).